MILANO (AFP) — Italy’s Vincenzo Nibali warned that his confidence is growing as he returns to defend his Milano-Sanremo title in the first monument spring classic of the season through northwestern Italy on Saturday. The 2014 Tour de France winner, nicknamed ‘The Shark,’ made a late solo break on the final ascent of the Poggio to win the 291km race last year. Nibali’s audacious attack with 6.5km to go remains one of the highlights of last season. 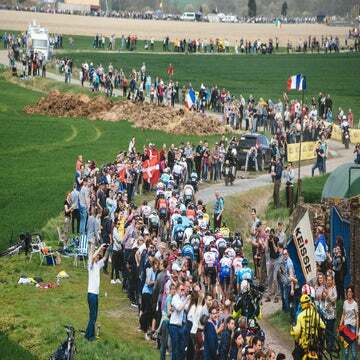 But the Bahrain-Merida rider will have his work cut out in a field which includes road world champion Alejandro Valverde (Movistar) and three previous winners of the race: Groupama-FDJ’s Arnaud Démare (2016), Sunweb’s John Degenkolb (2015), and UAE Team Emirates’s Alexander Kristoff (2014). However, none of those three former winners on Sanremo’s Via Roma are regarded as five-star favorites in the 2019 edition. Nibali also rode to 31st in the one-day Strade Bianche race and was an anonymous 35th overall at the UAE Tour. Given the long, flat run-in to the finish after descending off the Poggio, an audacious attack like the one Nibali used to win in 2018 is rarely successful. “In the last race [Tirreno-Adriatico], the result was not as I expected, but I feel better and better now,” he added. Although a solo victory by a climber like Nibali is rare, it has prompted other top GC riders to rethink their chances at Milano-Sanremo. France’s Romain Bardet returns for the first time in six years, saying he had been inspired by Nibali’s exploits last year. “The fact that Nibali won was another stimulus for his decision to return,” his coach Jean-Baptiste Quiclet said. His French countryman Démare, on the other hand, will hope for a sprint finish. 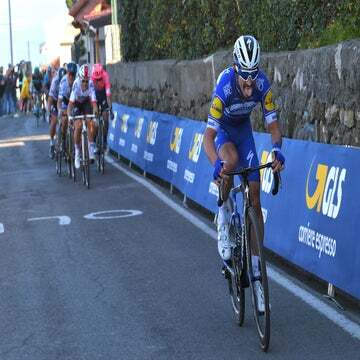 The 27-year-old finished third last season and warned that reclaiming the Milano-Sanremo title was one of his main objectives of this season. “It’s a race that’s within my ability. I’ve already won it, I’ve done a podium, I finished sixth …” said Démare. Like Nibali, the Frenchman has yet to win a race in 2019, so he isn’t a top favorite, compared to riders like Julian Alaphilippe and Elia Viviani (Deceuninck-Quick-Step) or Fernando Gaviria (UAE Team Emirates), who all have multiple victories to their credit in the early months of the season. “Even if I didn’t raise my arms [in victory] on the Paris-Nice, I regained my form and confidence,” Démare added. “It’s a race in which I often compete, and one day, for sure, I will win again,” warned the French rider.